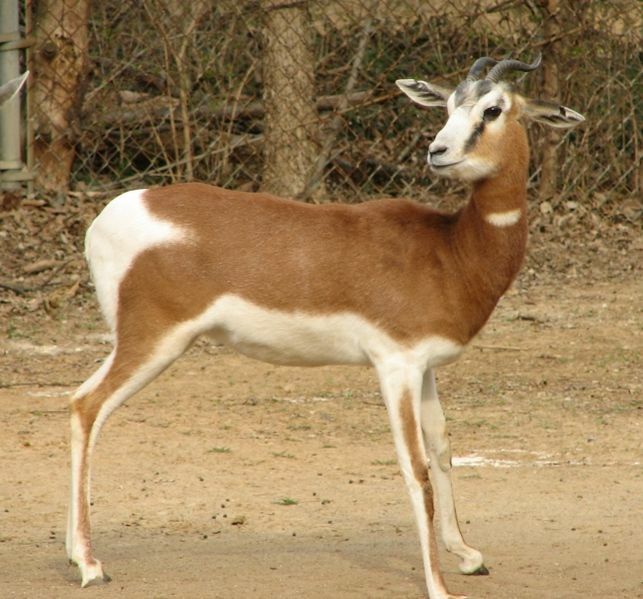 The Mhorr gazell is the largest of the true gazelles, and is a brown red color on the neck and back, with white underbelly and tail. Both the male and the female have very curvy ridged horns that are quite distinctive in nature. The Mhorr gazelle once ranged in vast herds, but living in very poor countries, where they are not protected an poaching is rampant, means that they were vastly over hunted. 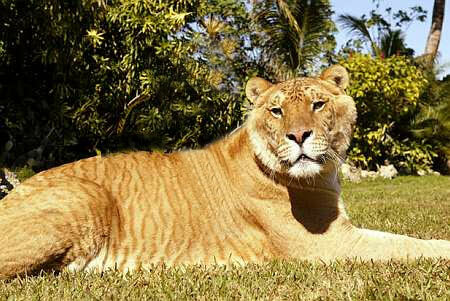 Although there are about 2000 left, they do not live in the wild. Today they do not range in vast herds but are for all intents and purposes extinct in the wild, yet there is hope for them. Zoo programs in both Africa and the United states have been growing due to breeding programs and the Mhorr is making a comback, but not to the point where they may be re released into the wild yet. 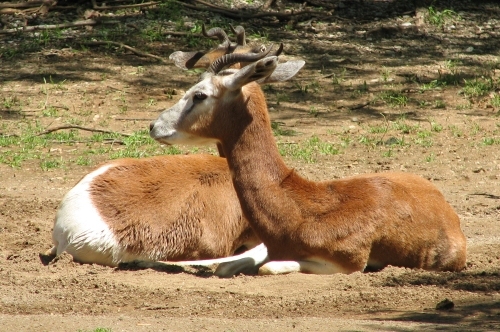 When they are born, Mhorr gazelle calves are sand-colored which is the means for camouflage for them. and they would, in the wild, spend the first four or five weeks of their lives hiding under bushes to keep from being prey animals for the meat eaters. At one time, they ranged over most of Africa, surviving quite well on the scrub and grazing there, living in very large herds of 20-50 animals. At this time,they are thought to be extinct in the wild although some few may exist there. Mhorr gazelles breed rather slowly and they have just one infant, so rebuilding the species is a long process, however due to international cooperation between zoos, its happening at a slow rate. Hello i have a quick question on the method which was used for breeding the mhorr gazelle. Like was is natural conception?